Correct pricing is the #1 key to selling your home. The NuStar team has the expertise to help guide you through, ensuring your price is competitive, while maintaining top dollar for your listing. Congratulations! Your home is listed for sale, sign is in the yard & lock box on the door. We have begun our comprehensive marketing program bringing buyers into your home to get it from just listed to SOLD! Where on the internet do your listings appear? The short answer is everywhere. When we list your home we syndicate to all major real estate pages such as Realtor.com, Zillow, and Trulia. You are also featured on our website (NuStarMankato.com) as well as all local agencies websites. We also feature listings on social media sites such as Facebook, Instagram, and Pinterest. 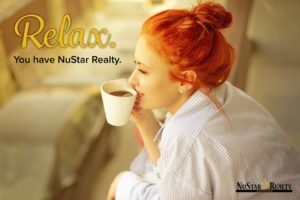 NuStar Realty knows how important it is harness the power of the web when marketing your home to potential buyers. You can expect high quality professional photos when you work with NuStar Realty. No low resolution or blurry images here! Your home’s online photos are the first impression of your home, and we take that very seriously. We offer virtual tours of our listings upon request. This is especially valuable when it helps to show buyers the flow of your home and its best features to encourage them to make a visit in person. NuStar Realty hosts a public Open House for our sellers upon request. Times are available on Saturday or Sunday with advertising in print media, on social media, and online. Yes, we still use print marketing in today’s digital era. There are buyers who still look to the traditional paper when searching for their home. Your home will be included in local print media as a Featured Listing and for marketing your Open House. 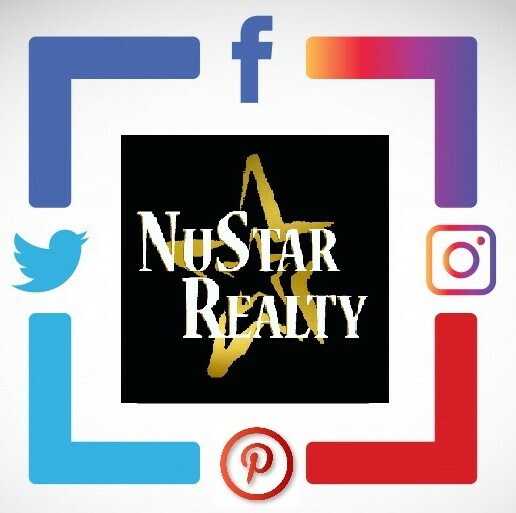 NuStar Realty is Social, Follow us! Today’s buyers are turning to social media to find homes and we are listening. You can find us actively posting on our social platforms. Want to set up an appointment? You can always call and stop by, but we know how busy you are! Send us a request on Messenger and you can expect a quick response. Homeowners, listen up… staging your home is a valuable step when preparing your home for sale Below are the top 5 tips to pay attention to when staging your home for sale. Clean! Clean! Clean! Buyers notice a dirty home and may take it as a sign that the home is not well maintained. Less is more. Declutter and start packing away things that will not be missed. You want buyers to picture their own belongings in each room. Polish up landscaping. We’re talking about curb appeal!! Make buyers want to come inside to see all your home has to offer! Repaint with warm inviting colors. Buyers will find your home to be move-in ready! Update light fixtures, vanities, and window treatments. Stay away from too-trendy designs, you want to appeal to all buyers. The Multiple Listings Service (MLS) is a service provided by real estate brokers to better serve our clients. It is a tool for marketing and listing exposure, a database for real estate appraisers and for preparation of market value reports. All the important information about your home are input, such as the size, number of bedrooms and bathrooms, and any special features. From here listing data is syndicated to broker sites and websites such as Realtor.com, Zillow, and Trulia where buyers are actively searching. Brokers participating in the MLS list all the homes they have for sale and agree to share in the sales commission. The big advantage to you is that every single broker and agent participating in the MLS has an incentive to sell your home. This effectively puts every agent in the area to work selling your home! The first place a buyers agent looks is always the MLS. There is simply no better way to gain instant and widespread exposure than listing it on the MLS.